Russian cosmonaut Yuri Gagarin, who was the first person to travel into outer space on the Vostok in 1961, will now inspire future generations through a new park created on the Greek island of Crete in his honor. Wishing to promote peace and cooperation, Greek Tourism Minister Elena Kountoura is set to inaugurate the Yuri Gagarin Park in Heraklion, Crete, on Sunday (noon, April 14). 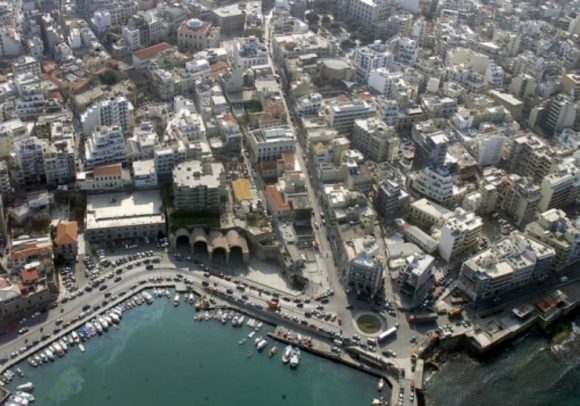 An initiative of Heraklion Mayor Vassilis Labrinos and organized jointly by the Heraklion Municipality and Tez Tour Greece, the event will be attended by Russian cosmonauts Anton Shkaplerov, Oleg Artemyev, Sergei Prokofiev and Theodoros Yurtsichin-Grammatikopoulos, all of whom have carries out their post-flight rehabilitation and health recovery programs on Crete and elsewhere in Greece. 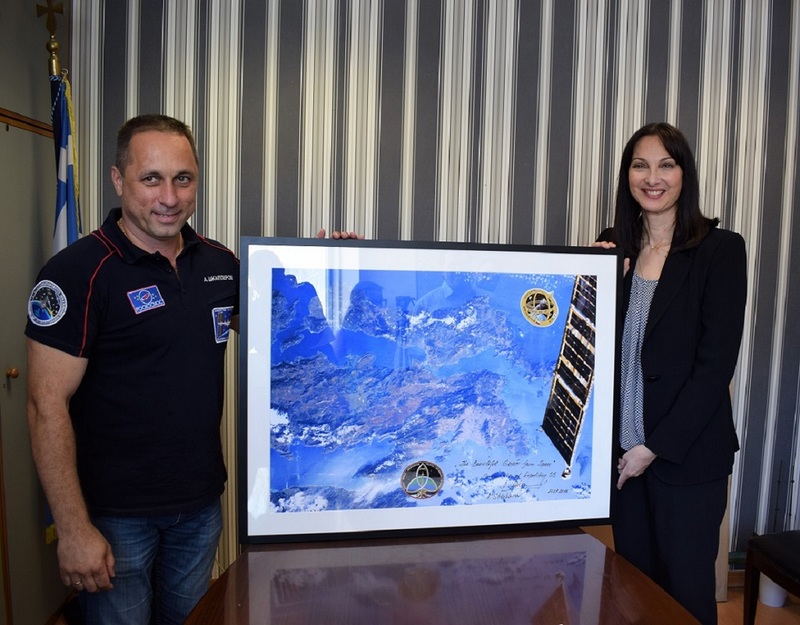 Russian cosmonaut Anton Shkaplerov and Greek Tourism Minister Elena Kountoura. The inauguration of the park at Karavola, in Heraklio, marks the 85th anniversary since Gagarin’s birth. In 2016, on occasion of the Greece-Russia Cross-year events a bust of the cosmonaut was placed in the park on the initiative of the Gagarin Foundation in cooperation with Tez Tour Greece. In the tradition of Gagarin, Thanasis Avgerinos, who coordinates the rehab programs for Russian cosmonauts in Greece, has suggested that international cosmonauts each plant an olive tree at Crete’s Yuri Gagarin Park as a symbol of peace, unity and fair play. 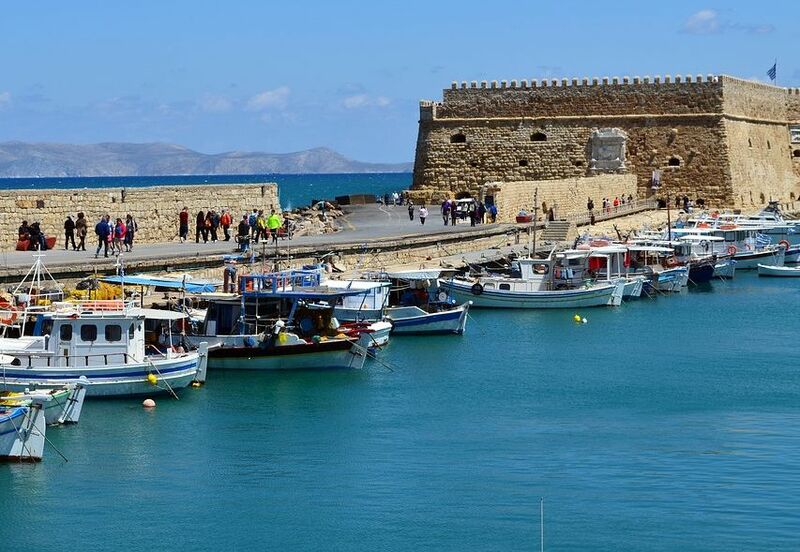 Since 2015, the Greek tourism ministry has been supporting Russian cosmonaut recovery and re-adaptation programs, which have been offered at Greek resorts and wellness centers on the islands of Crete and Evia, and in Halkidiki and Attica. In a video message recorded in 2018 onboard the International Space Station (ISS), Russian cosmonaut Anton Shkaplerov spoke of Greece’s beauties and promoted the country as a tourism destination.